This is the common mantra of the serial procrastinator. 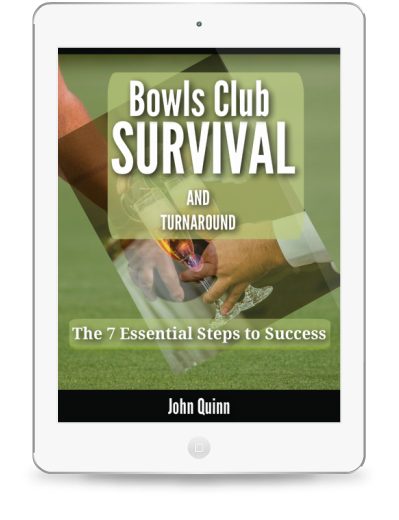 In bowling club turnaround terms, putting off taking action until tomorrow could be critical or even terminal for your club. But this is a self fulfilling prophecy in many respects as the lack of action on the smallest details leads to an increasing feeling of helplessness and the club slips into a downward spiral of failure. The simple answer is Anything! Doing nothing will guarantee failure. Even if you get it wrong, you will have made a mistake you can learn from. So in a typical club what needs to be done? Finally for today your club must have a group that is dedicated to pushing this plan through, regardless of the level of resistance from internal and external sources. This group must learn to distinguish the key differences between Projects and Actions and make sure that each project is broken down into key actions that can be taken every day to move the club’s turnaround process along on a steady path. Can we really trust the fertiliser trade? This is something that I think will be of great interest to other members so I am moving it over to the forum so that we can get a proper discussion going.